The largest network of 3d printers in the world is 3D Hubs, an Amsterdam based company that matches anybody who wants to 3d print things with owners of 3d printers. Now, with over 7,000 3d printing services on its platform, 3D Hubs offers unique insights into the most owned, the fastest growing and the most liked 3d printers around the globe. We take a dive into their 2nd quarter report which was just released. Our favorite section to look at each month is the “Trending Printers”, which shows us which desktop 3d printers are growing at the fastest rate inside people’s homes, businesses and schools. For the 2nd quarter, it was fellow Dutch company Ultimaker that shined the brightest. 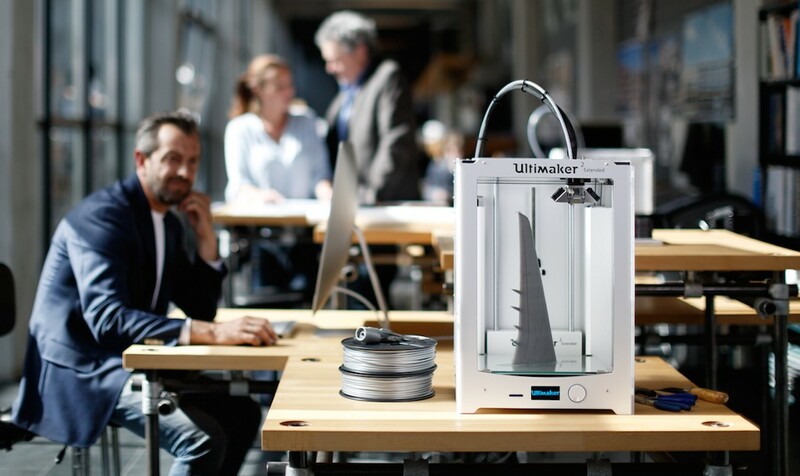 Ultimaker has two of the top 3 fastest growing desktop 3d printers on the platform, with its Ultimaker 3 Extended — a larger version of its Ultimaker 3 model — experiencing 400% quarterly growth and its standard Ultimaker 3 showing a 177% increase from the 1st quarter. A coveted position in the report is on the list of highest rated 3d printers, which provides us with some insight into reliability and overall enjoyment, and 3D Hubs shows us that experience does matter. The report also provides a regional breakdown, which tells its readers that what people own in North America is different from what they own in Europe. MakerBot — which is based in North America — owns the top share of printer type on its home continent while Ultimaker owns the top share of printer type on its home turf in Europe. 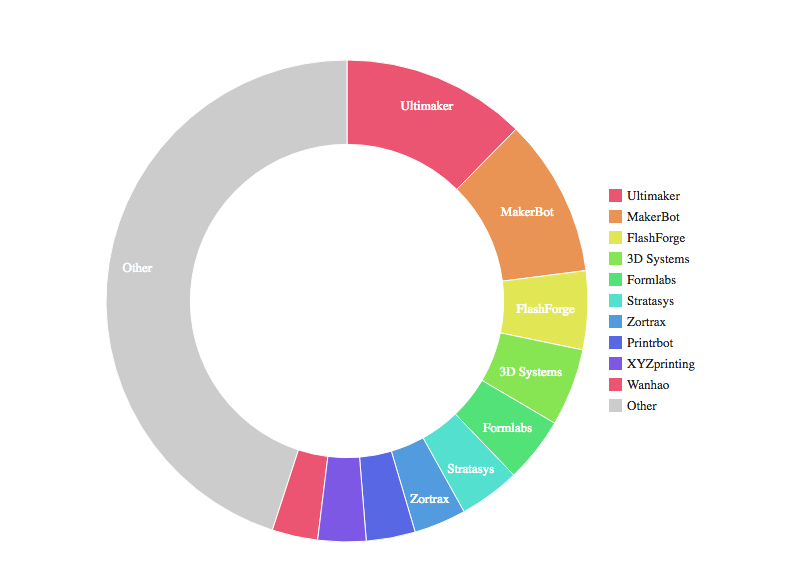 In terms of global market share for desktop 3d printers, there is a clear winner according to the data from 3D Hubs. Last but not least is the race for top 3d printing city in the world. No surprise there — New York City reigns supreme. 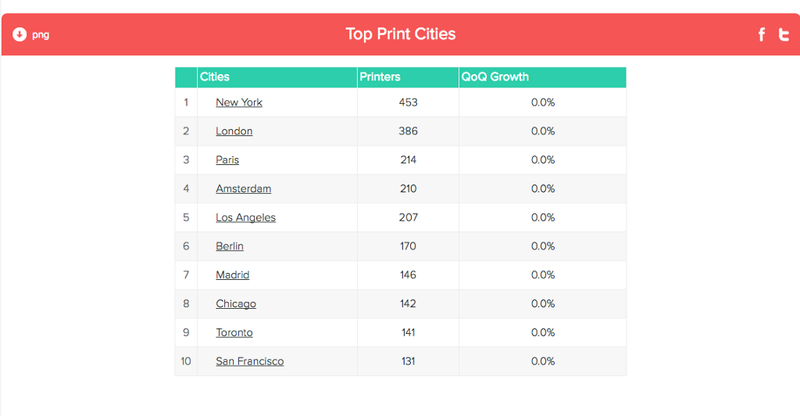 Global 3D Printing Market Sized Up in 3D Hubs Quarterly Report was originally published in 3dprintingtech on Medium, where people are continuing the conversation by highlighting and responding to this story.